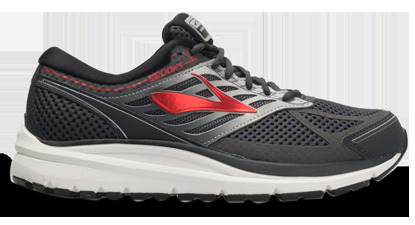 Foot Levelers has teamed up with Brooks, a recognized brand in athletic shoes, to offer you top-notch Brooks shoes with the proven support of individually designed functional orthotics. Maximum support, served smooth for those looking for a stable platform and soft cushioning. 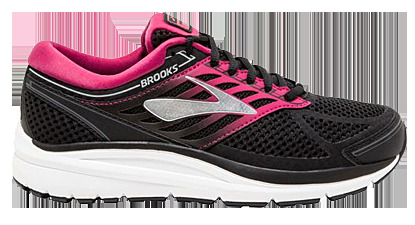 Get hooked on the new Addiction 13 running shoe for women. The BioMoGo DNA midsole provides adaptive cushioning while the Extended Progressive Diagonal Rollbar offers comfortable CONTROL stability. Add in a Foot Levelers functional orthotic and you have ideal Shoethotics for all of your running challenges. Includes Dynamic Response System. Maximum support, served smooth for those looking for a stable platform and soft cushioning. 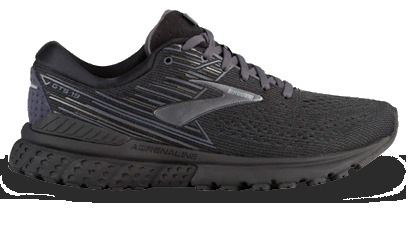 Get hooked on the new Addiction 13 running shoe for men. The BioMoGo DNA midsole provides adaptive cushioning while the Extended Progressive Diagonal Rollbar offers comfortable CONTROL stability. Add in a Foot Levelers functional orthotic and you have ideal Shoethotics for all of your running challenges. Includes Dynamic Response System. 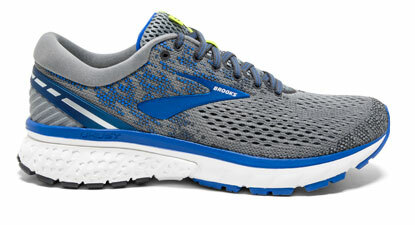 The Adrenaline is Brooks' top-selling shoe, and the new streamlined design is more sleek and modern. Combined with a pair of custom orthotics, this shoe has great support for those with high-activity levels. The perfect balance of soft cushion and support to see you through three miles, or 26.2. 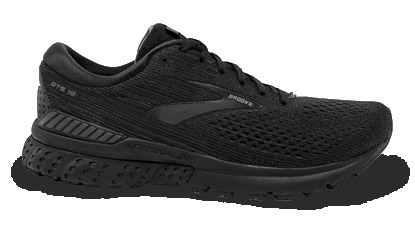 The new engineered mesh upper maintains the proven fit GTS devotees rely on while integrating a more streamlined look. Refinements in softer cushioning, increased flexibility, and seamless heel-to-toe transitions keep you focused on the run, not what's on your foot. The GTS 19 introduces "Guide Rails" which replace the Progressive Diagonal Rollbar (PDRB) in previous models. Guide Rails are built into the footwear midsole and revolutionize traditional stability technology found in running shoes. Delivering on-demand support, Guide Rails allow your hips, knees and joints to move within their unique motion path while you run – all without traditional posts. BioMoGo DNA and DNA LOFT cushioning work together to provide a just-right softness underfoot without losing responsiveness and durability, yet feels lighter than ever. By placing stretch and structure where you need it most, the newly engineered mesh upper practically disappears on your foot. 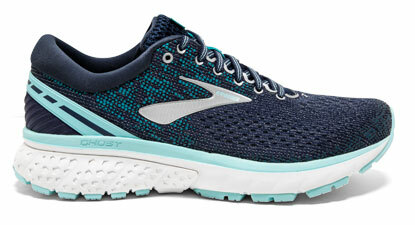 No matter how your foot lands, Brooks Segmented Crash Pad—an integrated system of shock absorbers—will cushion every step and stride for smooth heel-to-toe transitions.